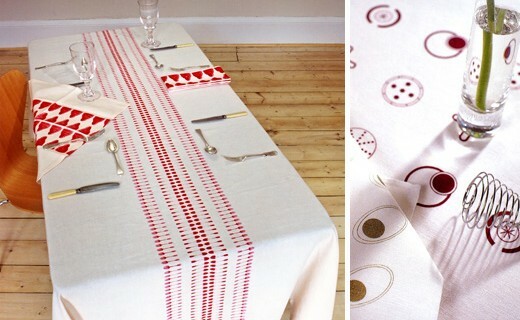 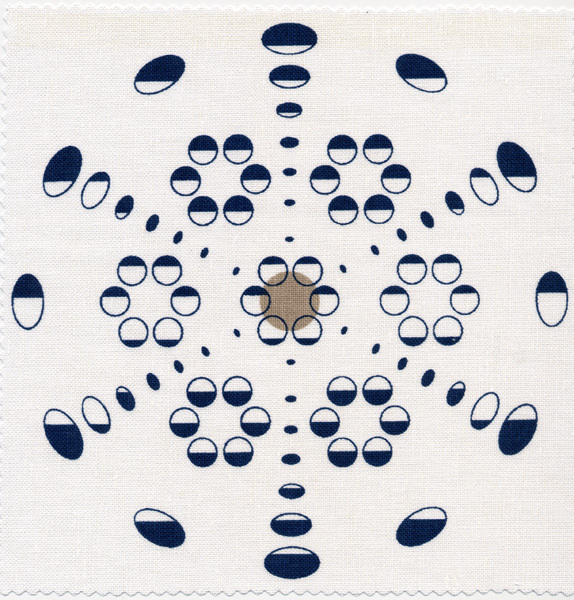 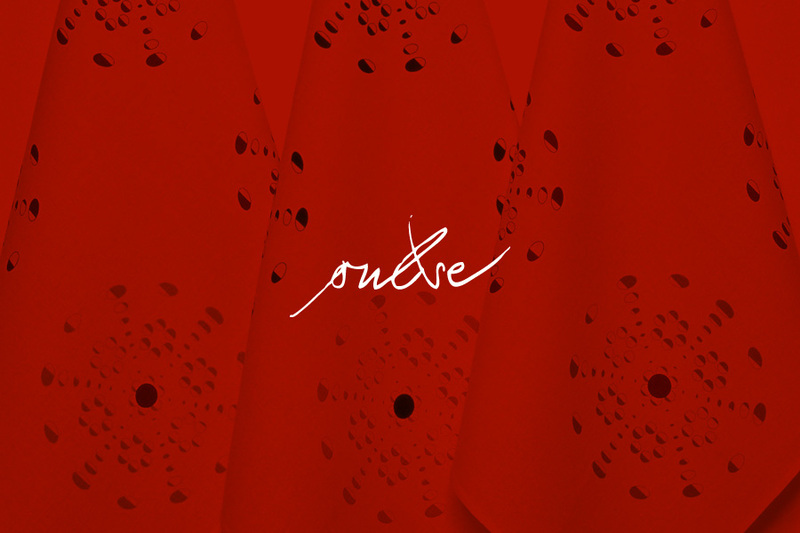 Joanna produces three collections of table linen, all inspired by a culinary theme. 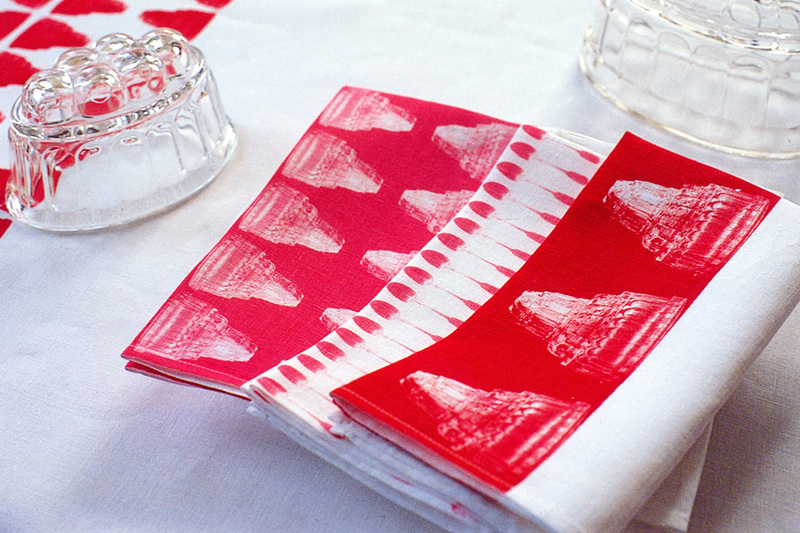 Each range is hand-printed on fine quality linen union, and is available in its own distinctive set of colours across a selection of products that include tea towels, napkins, placemats, runners and tablecloths. 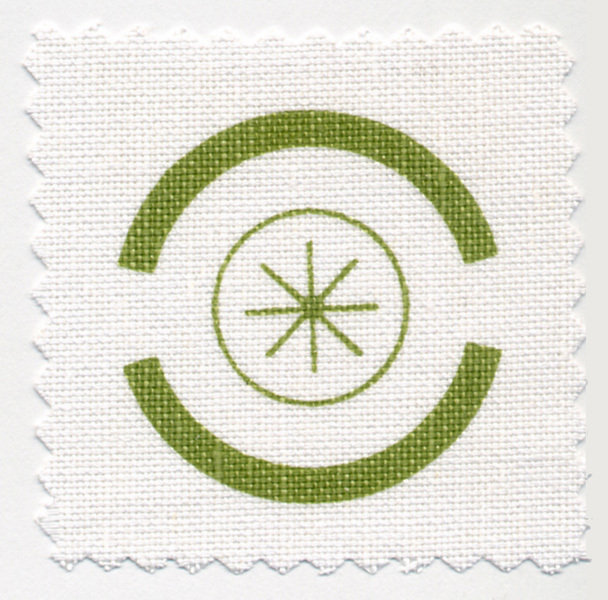 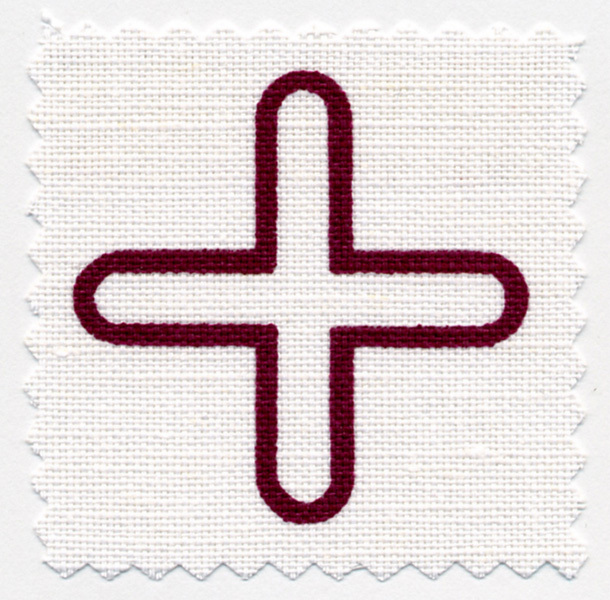 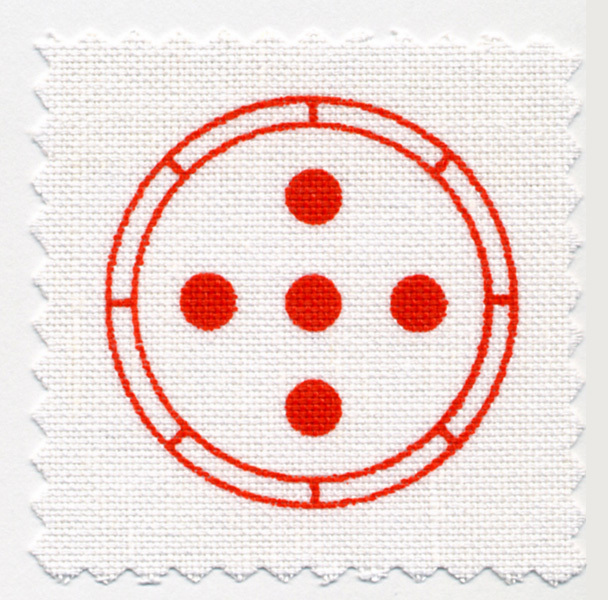 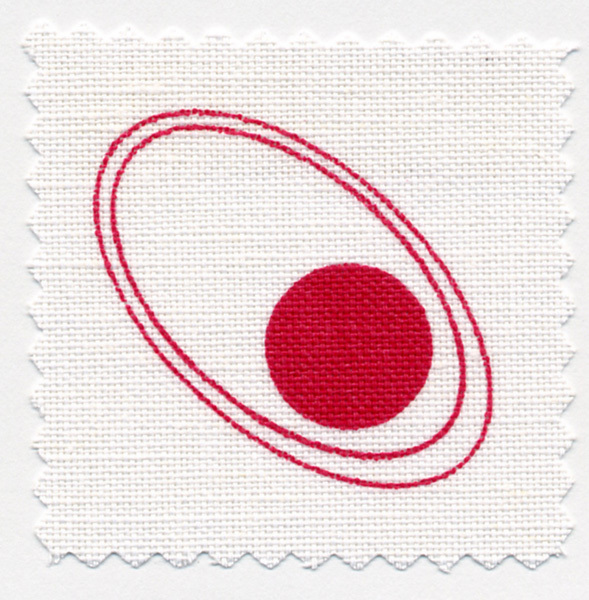 All products are finished with plain hems and are machine washable at temperatures up to 60°C (140°F). Linens are currently printed to order. 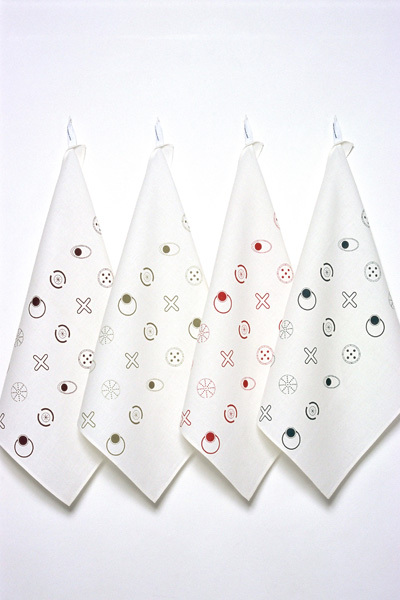 Tea towels measure approximately 52cm x 68cm (20” x 26”) and are priced at £20; other products start from £17. 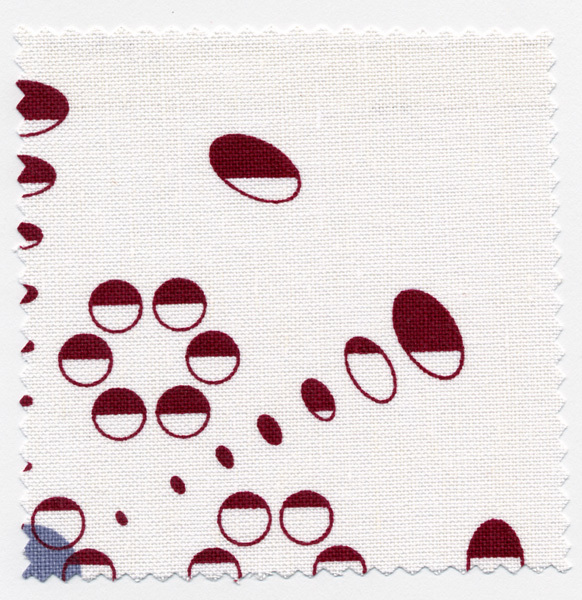 Please contact Joanna to discuss your requirements and request a price list, which also lists sizes available. 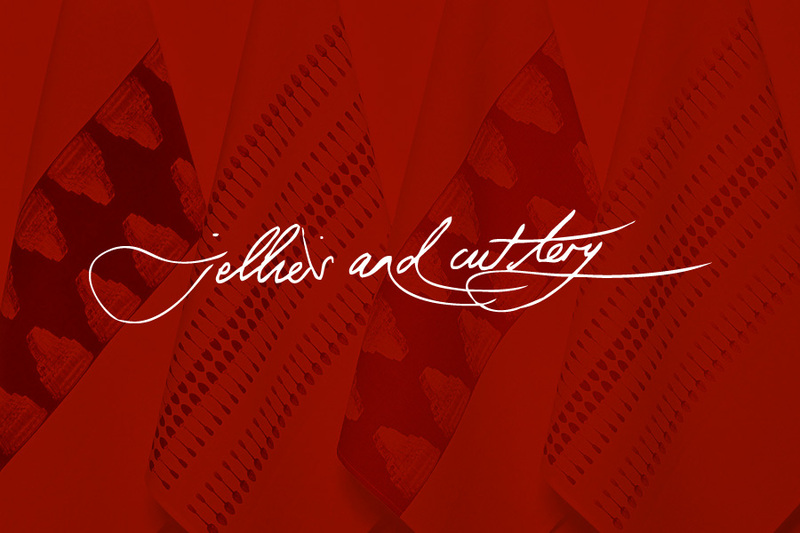 ‘Jellies and Cutlery’ uses the repetition of delicate forks, spoons and jelly moulds to form rhythmic compositions. 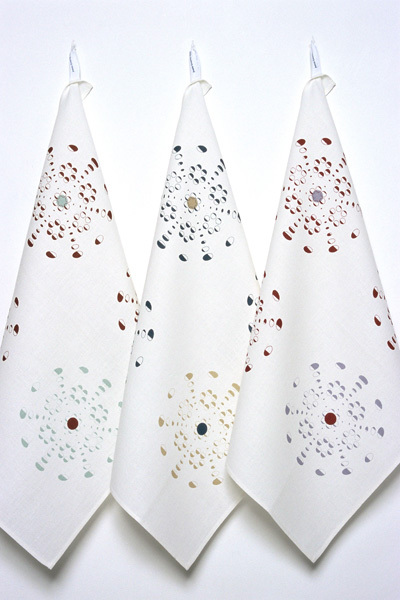 The collection comprises four designs available in any of the four colours, on a white background. ‘Jelly Duet – Stripe’ is only available on smaller items. 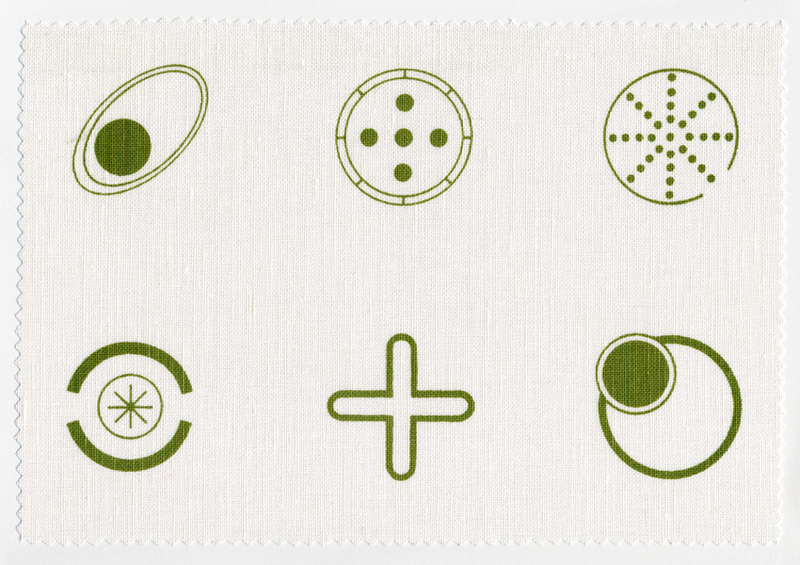 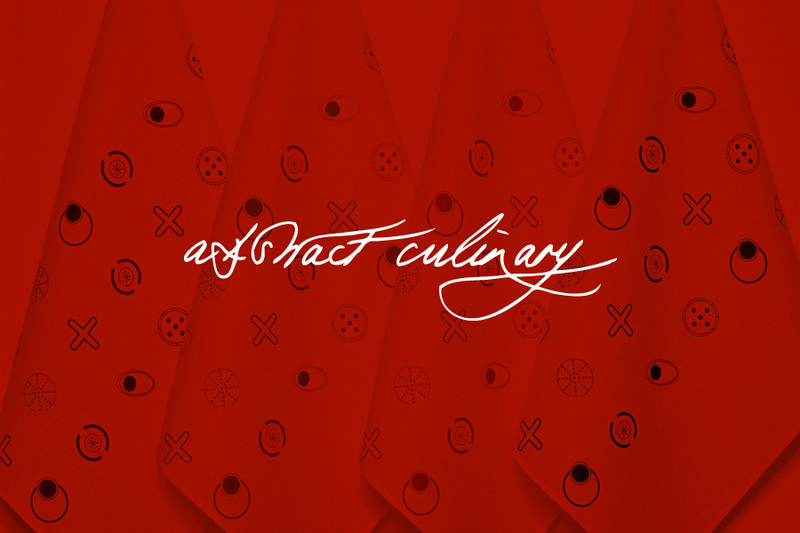 ‘Abstract Culinary’ takes the essential elements of a range of kitchen utensils to form abstract blocks of pattern, creating seven designs – ‘Poach’, ‘Pour’, ‘Mash’, ‘Sift’, ‘Squeeze’ and ‘Whisk’ (napkins and placemats), as well as ‘Abstract Culinary’, a composition of all six motifs (tea towels, runners and tablecloths). 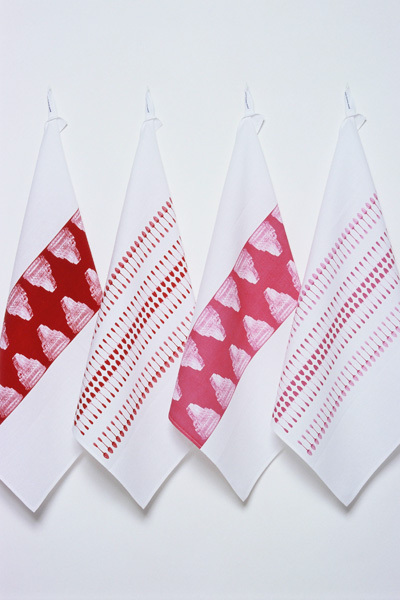 The collection is available in any of six colours all on a white background. 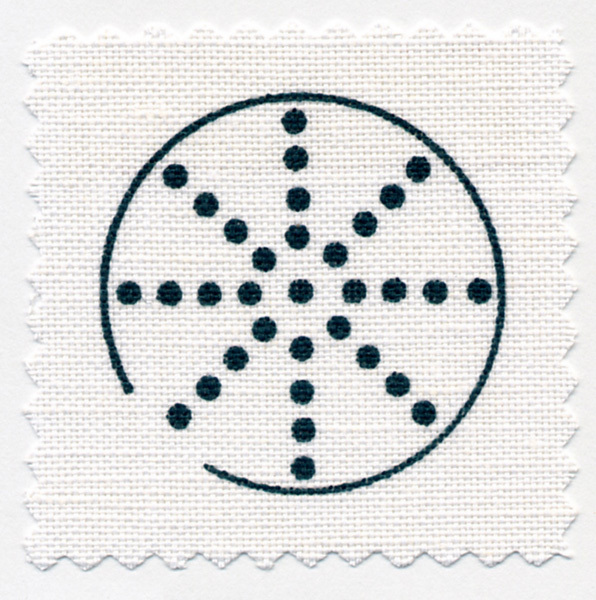 ‘Pulse’ is inspired by the inside view of a colander, fused with a paper doily. 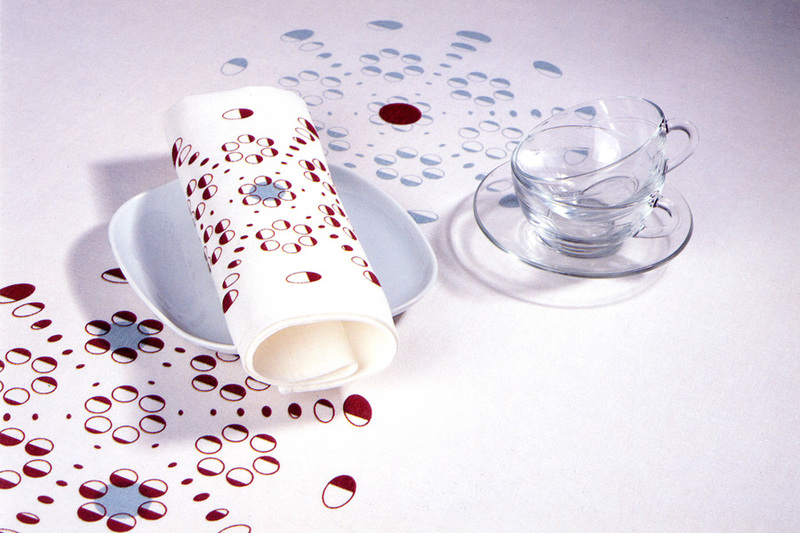 It is a two-colour print taking the form of a bold circular geometric pattern that is also delicate, giving the impression of a punched-through or cut-away effect. 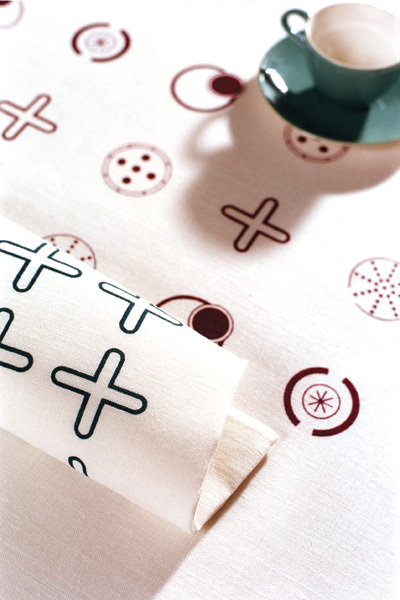 ‘Pulse’ consists of one design on all products, with a larger version for wide runners and tablecloths, and a variation on the tea towel. 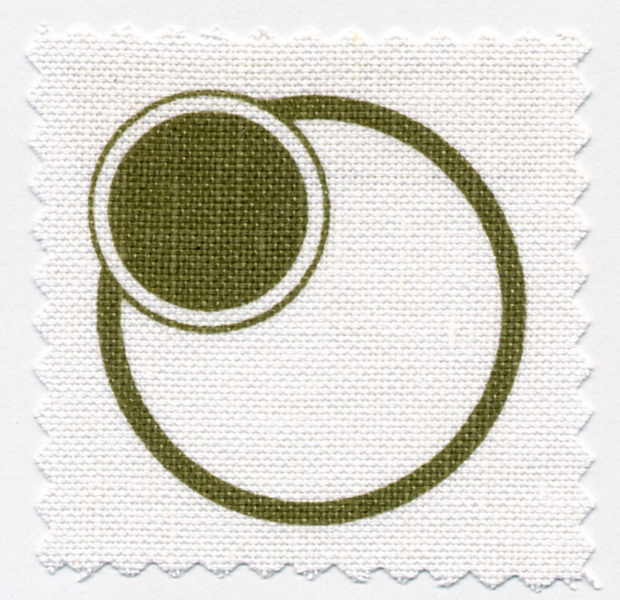 There are six colours in three pairs, but any combination is possible, all on a white background.